Cleanse, clarify and hydrate your complexion with this skin-boosting collection. Awaken your complexion and deliver lasting hydration with Appriya’s Cleanse & Replenish three-piece collection. This full size collection consists of our Mineral Cleansing Mousse, Mineral Tonic and Comprehensive Mineral Day & Night Cream. Our Cleanse & Replenish Collection will leave your skin looking smooth and balanced. Begin your regimen by cleansing the skin with Appriya’s purifying Mineral Cleansing Mousse. Gently massage our foam over the face and neck creating a lather and rinse thoroughly. 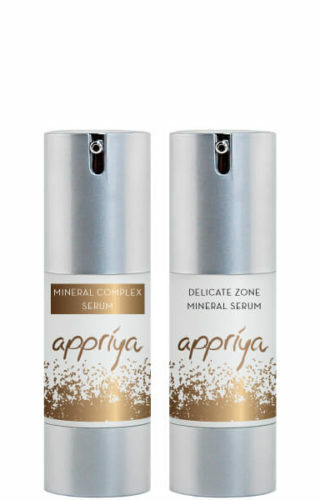 Follow by applying Appriya’s Mineral Tonic to soothe and energize your complexion. 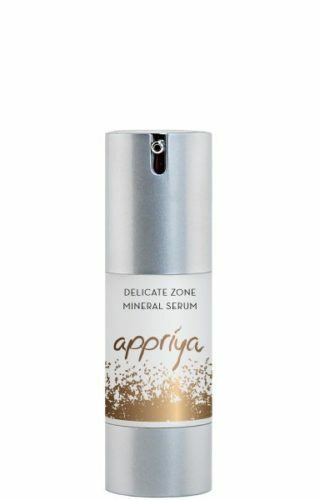 Protect the skin by applying Appriya Comprehensive Mineral Day & Night Cream across your face and neck until fully absorbed. Provides hydration and helps maintains skin elasticity while controlling oil production. Helps even skin tone, improves skins moisture and reduces the appearance of acne. Moisturizes the skin and reduces inflammation. Strengthens weak skin, and has a strong immediate tensor effect. Helps firm skin and reduces the look of fine lines and wrinkles.